As the main mechanical equipment in the packaging market, the automatic filling machine drives the development of the entire packaging market and makes perfect packaging for the products. The development of the packaging market has always promoted people’s needs and led people to move in a better direction. So is the automatic filling production line meeting the needs of product packaging development? Does it really give people good convenience? It can be said that the automatic filling production line meets the needs of product packaging development and truly gives people good convenience. Our needs are constantly changing, and the corresponding companies will continue to be satisfied. The filling production line is used in many daily life, and it is also a mechanical equipment that the company likes. In short, it is a filling equipment for customers to bring more convenience to the enterprise. The sales volume of the products needs to be interpreted by the packaging, so the packaging of the products is an indicator of the sales volume. The changes made by the filling production line with the development of the market have promoted the new demands of the people and made good packaging requirements for the products. Well Machinery has been working hard to increase the sales volume of the filling production line, bringing better demand for people. With the rapid development of Chinese economy, more and more products are pursuing higher-level packaging requirements. The development of automatic filling machines has contributed to the packaging of daily necessities, and now has achieved remarkable results. Liquid products are common in our daily life. These products are mainly based on automatic filling machines. Juices, soy sauce vinegar, and various perfumes, toilet waters, etc. are all everyday products. Filling equipment gives these products the perfect packaging, allowing people to feel the convenience of the conditions, in addition to the packaging of other liquid products are inseparable from the mechanical equipment.It has been widely used in food, daily chemical, pharmaceutical, and other industries. 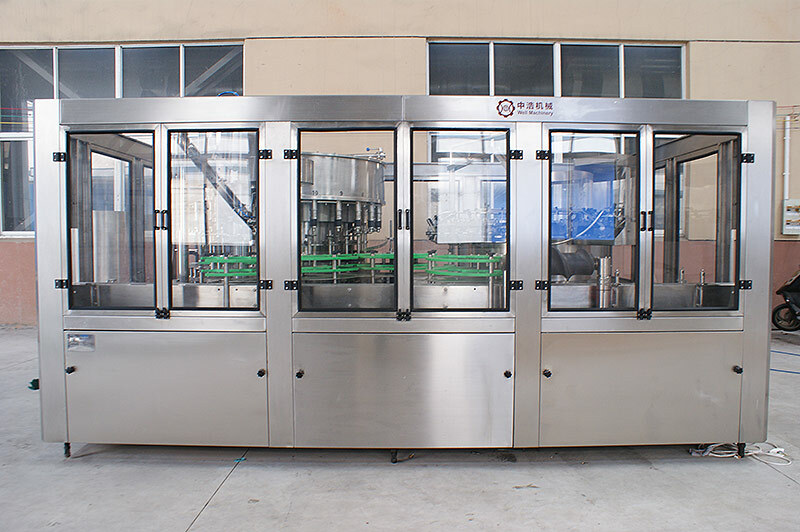 It can be seen that the development of automatic filling machines has reached a certain level. With the development of the market, more and more mechanical equipment has brought more convenience to people. The automatic filling machine has gradually contributed to the convenience of people’s life. Its existence has promoted the development of enterprises. Let customers trust this mechanical equipment more.